Thanks for stopping by my blog! Be sure to follow me to get more great updates INSTAGRAM | TWITTER | FACEBOOK | BLOGLOVIN. 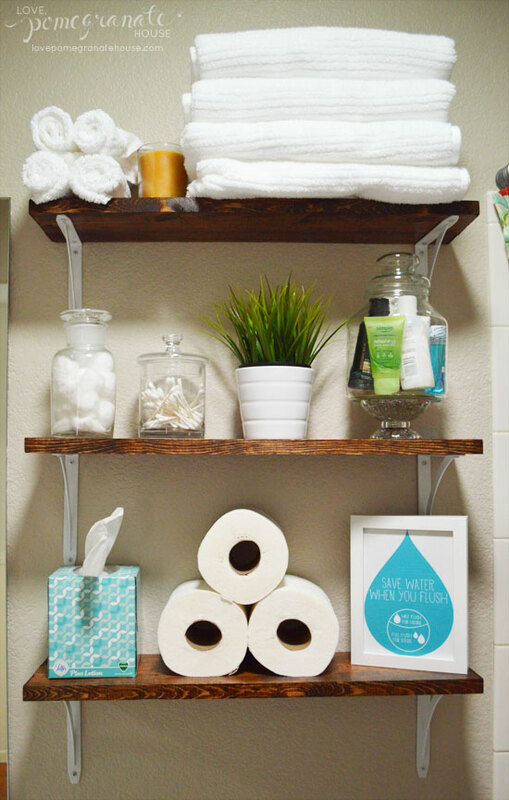 Click HERE to see which bathroom storage idea we chose! 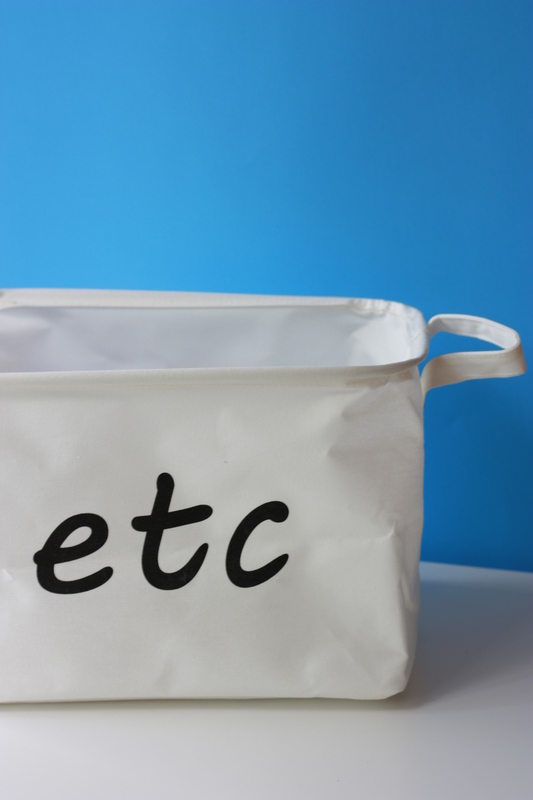 This may be my most glamorous post yet; it even says toilet in the title! The master bathroom is one of the most used rooms in the house. It’s where I start and end my day. Currently I have all the extra towels in the guest bath and hall closet in the front of the house. One of my first tasks in this new home is to make sure we are organized and everything has a place in the appropriate room. I love that the master bath has double sinks so there is plenty of under the counter storage space, but no shelves currently for towels. There’s a long blank wall to the right when you first walk in and above the toilet is completely open. I want to utilize that open space! 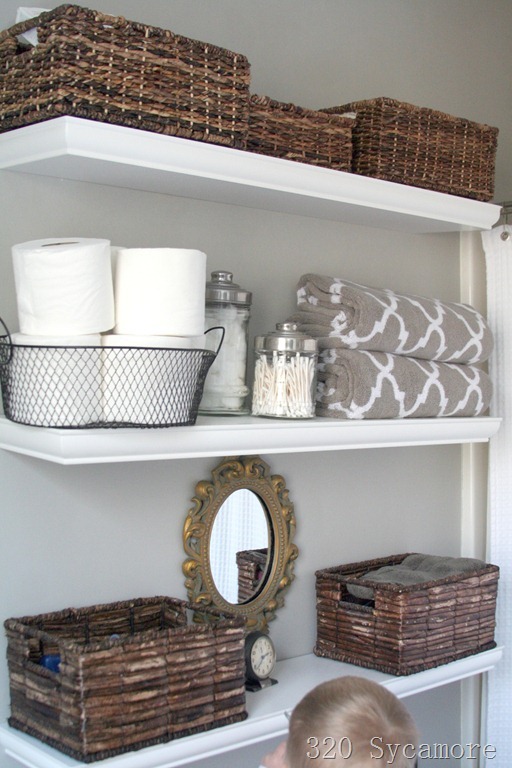 I gathered 10 ideas for bathroom storage below. 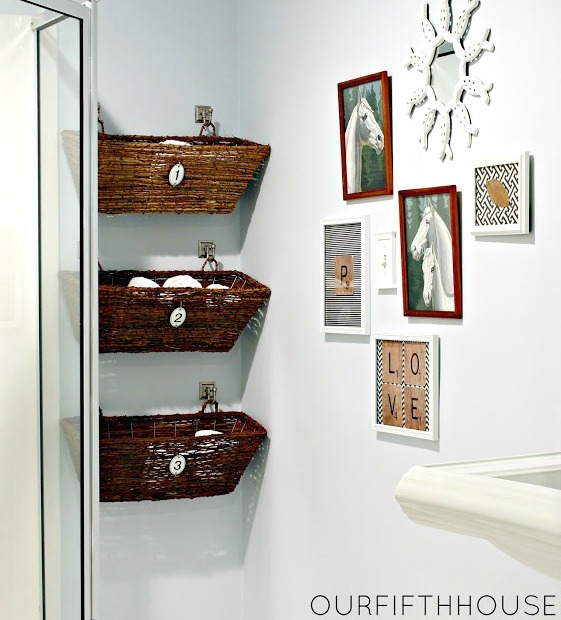 These collapsible baskets are perfect for your bathroom! They are durable and easy to clean. 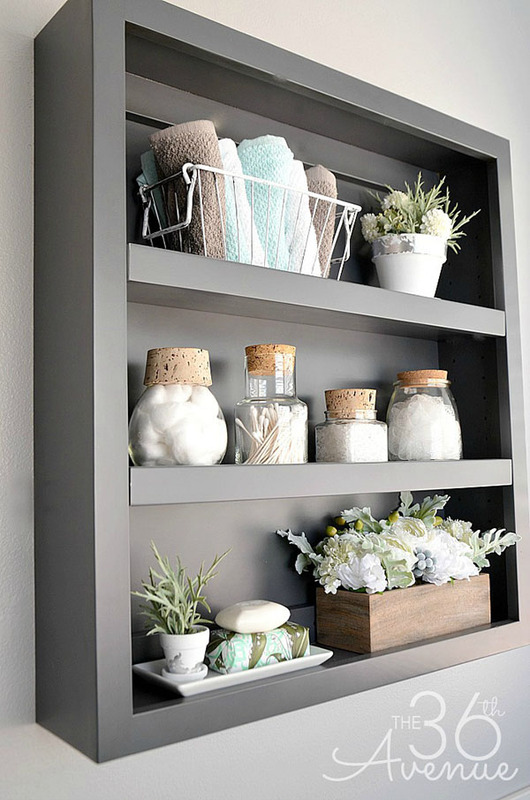 This cotton basket will help get your bathroom organized. Available on Amazon. Curious which shelves I chose? Check out THIS post! 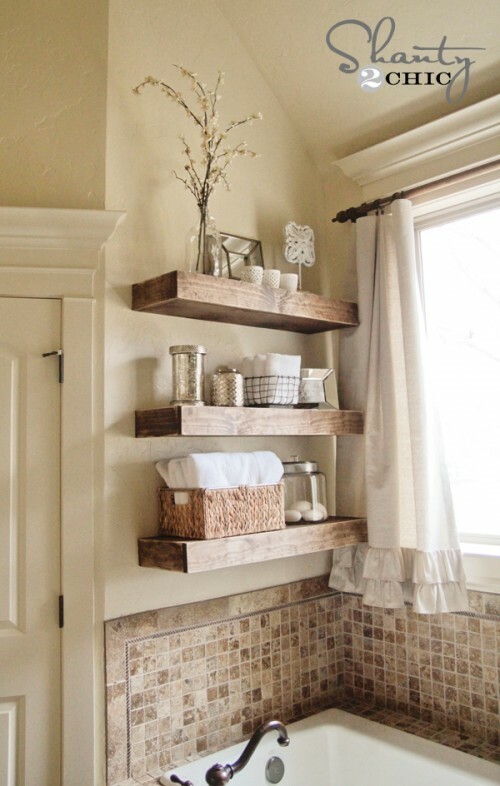 I just love the floating wood shelves! It gives such wonderful texture and classic lines. 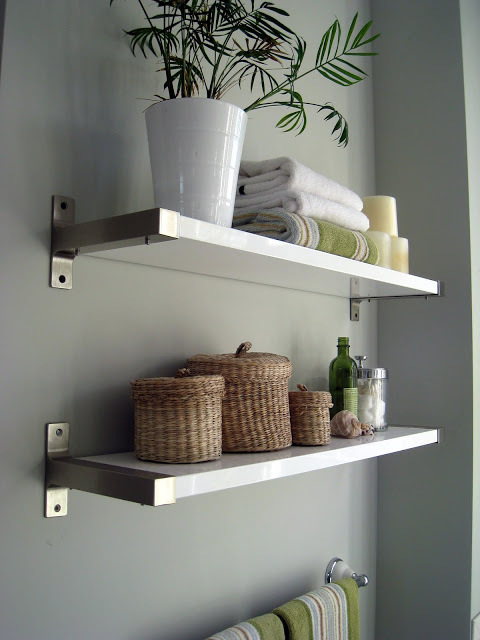 Also the wire rack is fun, especially for hanging towels when they are wet. I can’t wait to see what you choose! 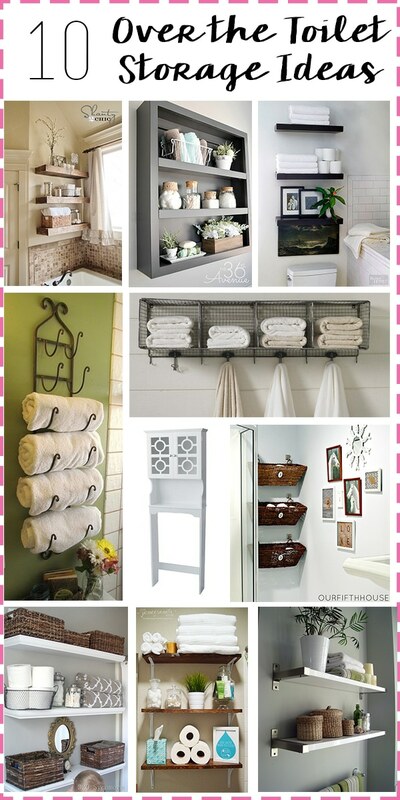 I recently remodeled out main floor bathroom and used the wine rack idea for towels! How awesome it turned out and have gotten nothing but compliments on it thank you! 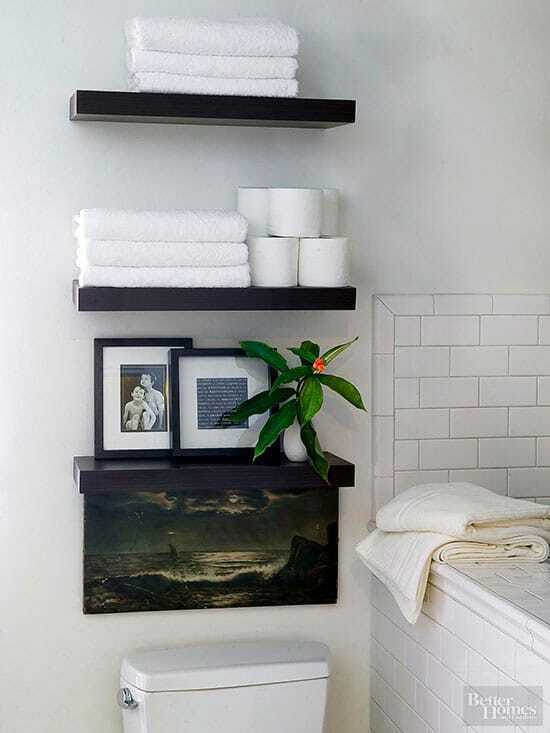 Most of all I liked the black floating shelves! Looks original and simple. Nice pics! 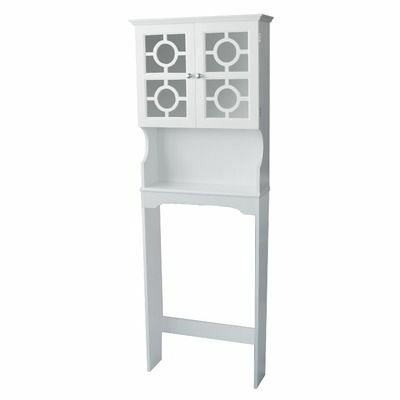 I love the wine rack idea but I can’t find it on eBay. Can you help me out here? Love your site!